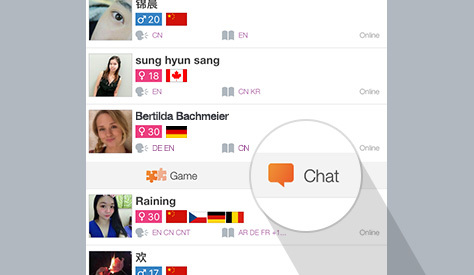 To find someone to chat with, go to "Chat". Now press "Add Chat", or the [+] icon on the top right. 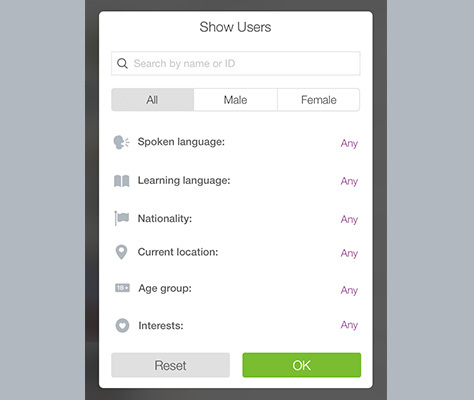 On the next screen, you can filter your search by gender, spoken language, learning language and so on. When you're ready, select "OK". To go back and make new changes again, tap on the "Search" icon on the top right. 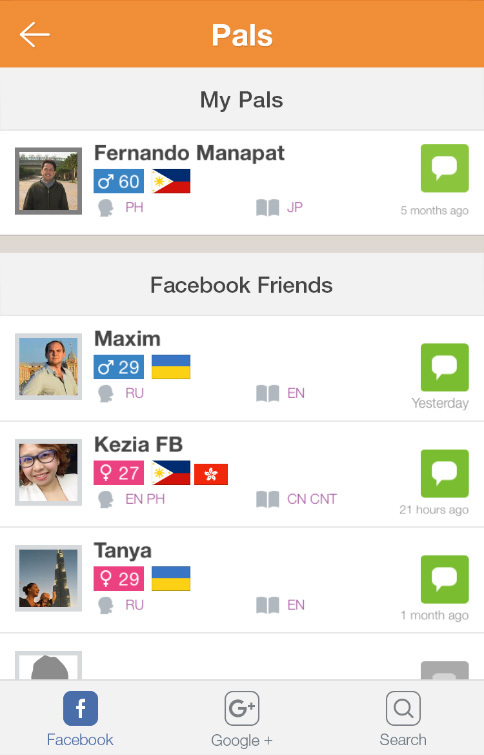 In the search list, select a pal to chat with by tapping on the green "chat" button. To see a pal's profile, tap on their profile picture. In their profile page, you can start a chat by tapping on the green "chat" button as well. 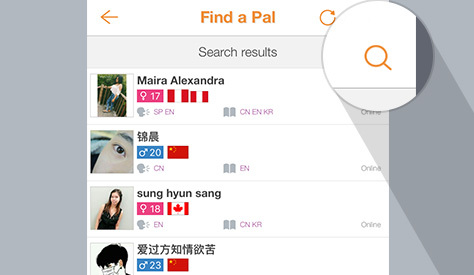 At Discover, tap on "Pals". 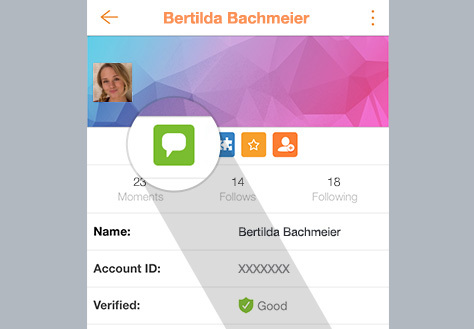 In the next screen, sign in to your social media account (Facebook, Google+, Weibo, etc). Once signed in, search for a pal and send an invite. At "Discover", tap on "Recommendations". 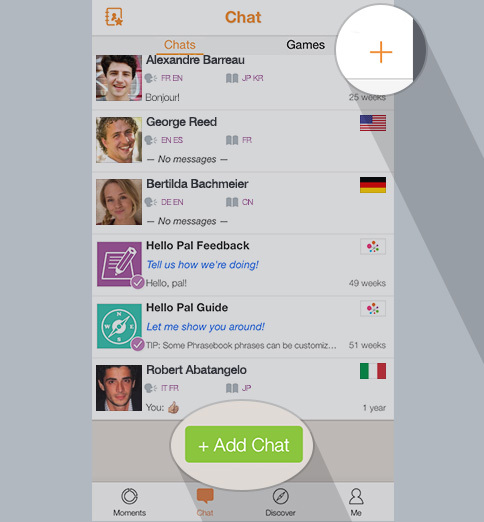 In the next screen, look for a pal and tap on the green "chat" button to start a conversation.